Several social computing participation strategies, such as crowdsensing and crowdsourcing, use mobile ad hoc or opportunistic networks to support the users activities. The unreliability and dynamism of these communication links make routing protocols a key component to achieve efficient and reliable data communication in physical environments. Often these routing capabilities come at expenses of flooding the network with a huge amount of topology control information (TCI), which can overload the communication links and dramatically increase the energy consumption of the participating devices. In previous works the authors have shown that predicting the network topology in these work scenarios helps reduce the number of control packets delivered through the network. This saves energy and increases the available bandwidth. 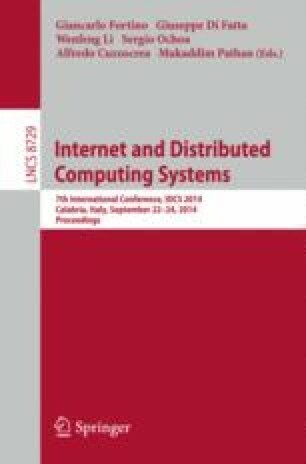 This paper presents a study that extends the authors’ previous works, by identifying the impact of predicting the TCI generated by routing protocols in these networks. The prediction process is done following a history-based approach that uses information of the nodes past behavior. The paper also determines the predictability limits of this strategy, assuming that a TCI message can be correctly predicted if it appeared at least once in the past. The results show that the upper-bound limit of the history-based prediction approach is high, and that realistic prediction mechanisms can achieve significant ratios of accuracy. Mobile collaborative applications and routing protocols using mobile ad hoc or opportunistic networks can take advantage of this prediction approach to reduce network traffic, and consequently, the energy consumption of their devices.